Rory McIlroy is showing us why we would like to see more of him in the United States in 2012. The second-ranked player in the world has a two-shot lead heading into the final round of the Honda Classic on Sunday, after putting together a 4-under par round of 66 in the third round, capping it off with a nice sandy on No.18 for birdie. And in a field that has a Major championship-like feel, McIlroy is stealing the show. In just a year, this 22-year-old has come a long way in his development, and it surely shows on and off the course. Oddsmakers feel the same way, and it shouldn’t be a surprise. Obviously McIlroy is a big favorite going into tomorrow, set at 4/9 on PGA Tour Betting odds available at Bovada Sportsbook. But week-in and week-out, McIlry is a staple at the top of the odds, and should he close the deal on Sunday at the Honda, he might move to the overall favorite ahead of Tiger Woods to win the 2012 Masters. PGA Tour odds are constantly changing depending on a players performance each week, with McIlroy routinely winning the 2-ball and 3-ball pairing odds, and now climbing the ladder on 2012 Major Championship prop odds, as well as the Race to Dubai and future major championship odds. Because McIlroy plays both in Europe and in the United States, and has pledged to pla more in America, McIlroy is leading the way on many of the odds associated with golf. A win tomorrow and McIlroy will ascend to the No.1 ranked player in the world, the youngest to do so since Woods. And Woods did some good things in the game as we might remember. Speaking of the former No.1 player in the world and 14-time major winner, if burning edges on putts counted for something, Woods could have a huge lead. The putter has let Woods down this week, and if he better start figuring things out this next week at Doral, and a couple weeks later at Bay Hill before the trip to Augusta. But for now, it’s Rory’s show, and Woods is just along for the ride. 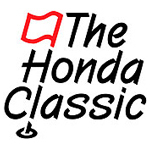 This entry was posted in News and tagged honda classic, honda classic leaderboard, honda classic odds, honda classic scores, pga tour odds, tiger woods, world golf rankings on March 4, 2012 by Bryan.